Home» EDUCATIONAL PORTAL » AP ECET - 2016 Notification Online Application at www.apecet.org. 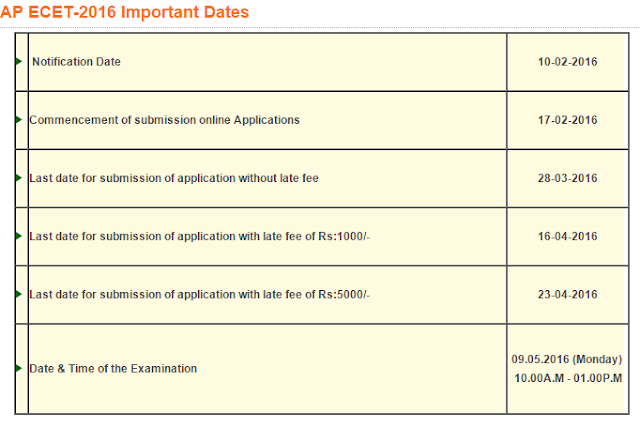 AP ECET - 2016 Notification Online Application at www.apecet.org. 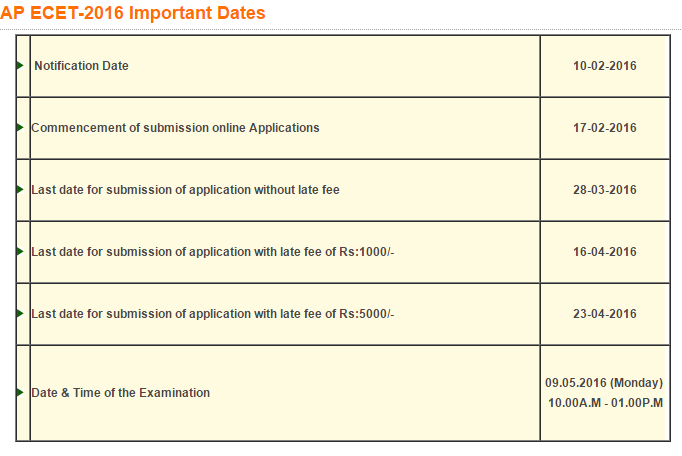 AP ECET - 2016 Notification Online Application at www.apecet.org; Andhra Pradesh Engineering Entrance test 2016 Notification and Online application; AP Ecet-2016 Notification importent Dates Scheduled and Online application And More Information AT www.apcet.org. The registration fee of Rs.400/- may be paid at AP Online Centres in AP and also through payment gateway (Credit/Debit Cards/Net Banking).